Belagroprombank: Result-oriented and open to cooperation. JSC Belagroprombank started to operate as an independent credit and financial institution in 1991, shortly after Belarus’s declaration of sovereignty and independence and during the early stages of the formation of the national banking system. This year Belagroprombank will celebrate its 20th anniversary ofbecoming an independent financial institution. In this comparatively short period of time the bank made its way from a bank specialized in providing credit and settlement services for agricultural organizations to a financial institution that provides a full range of banking services for corporate and retail customers. JSC Belagroprombank is one of the powerhouses in the financial market of the Republic of Belarus. For several years, the bank has been the largest bank in Belarus by authorized fund and equity, and has been among the leading banks in Central and Eastern Europe. Belagroprombank has 40,000 corporate customers that operate in different sectors of Belarus’s domestic economy. High economic growth rates have contributed to a continuous increase in demand from businesses and organizations for bank loan products. Considering this factor, one of Belagroprombank’s priorities will be to fully satisfy consumer demand for financial resources in the real sector of the economy. In 2010 the corporate loan portfolio of Belagroprombank exceeded $8 billion, which accounts for more than 35% of the total corporate loan portfolio of Belarusian banks, enabling the bank to maintain its leading rank. In order to provide credit support to its corporate customers, Belagroprombank carries out active work on resource mobilization in the key segments of the domestic financial market as well as raising foreign credit financing for the country’s economy. Belagroprombank’s successful cooperation with its foreign partners allows it to quickly find optimal ways of acquiring financial support for foreign trade projects for its customers. The value of each import contract for domestic businesses backed by foreign financing raised by Belagroprombank ranges up to $140 million. 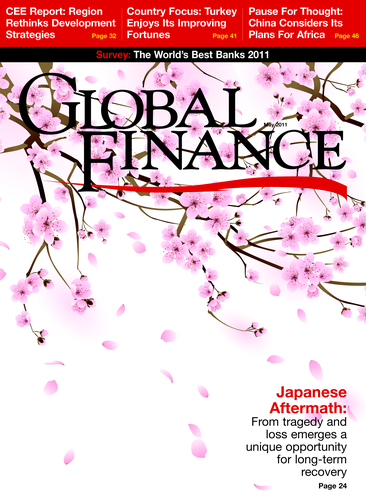 Notwithstanding the turbulence in the global financial markets, during which many financial institutions suspended credit facilities to non-resident banks, an impeccable credit history and bona fide business reputation among foreign financial institutions enabled the bank to successfully raise finances from abroad. In 2010 Belagroprombank raised foreign financing worth about $900 million, or $1.6 billion when including treasury transactions. Five years ago retail customerservice was included into the strategic development plan. Retail banking is the fastest-growing sector in the financial market of Belarus, and we are pleased by the fact that over several years Belagroprombank managed not only to catch up with its peers, who entered the retail market much earlier, but surpassed the competition to become one of the leaders in the segment. Belagroprombank has a wide range, a broad geographical footprint across the country, a card payment platform, and was one of the first to launch a mass scale distribution of Internet retail financial services. Therefore, Belagroprombank holds leadership positions in the key retail business fields such as customer deposits, consumer lending, and card technology-driven services. At present the bank’s retail customer base totals 1.7 million customers—one third of the economically active population of the country regularly uses the services provided by Belagroprombank. Realizing the importance of an integrated approach towards servicing private customers, JSC Belagroprombank is the first, and so far the only bank, to adopt a quality management system for retail customer service and obtain the ISO 9001 certificate of compliance. As Belagroprombank puts more focus on expanding its scope of activity, it spares no efforts to maintain sustainability and transparency of its business. For several years running Belagroprombank’s financial standing has been assessed by two international rating agencies and assigned the highest credit ratings in the banking sector of Belarus. Belagroprombank has also been twice recognized as the Best Bank in Belarus by Global Finance . Sustainable development and an increasing transparency of the Belarusian economy stir a growing interest toward our country on the part of the international business community. Therefore, we are convinced that Belagroprombank has a promising future in expanding its presence in the international financial market, and that the cooperation with foreign partners will be productive and mutually beneficial.